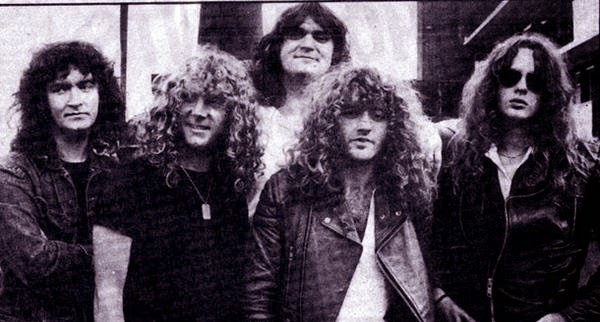 Tytan was a fairly short-lived band that was formed by ex-Angel Witch bassist Kevin Riddles, who performed on their eponymous LP from 1980, as well as many demos and singles. Now, for starters, Tytan is a completely change of pace as to what Angel Witch is known for; Tytan is, overall, more upbeat, more energetic and certaintly less melancholic. 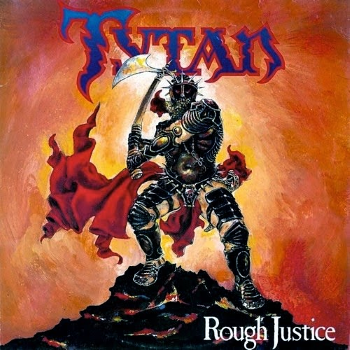 “Rough Justice”, posthumously released 2 years after the band’s split, is a culmination of classic NWOBHM, and man are there tons of highlights on this one! The first track, and probably their most well-known one, “Blind Men and Fools”, almost entirely focuses on Kal Swan’s vocals throughout the compelling and fist-pounding chorus, which perfectly overlaps the amazing guitar work. This exact formula is embedded in every single track and makes this record that much more memorable. Now go on and crank the hell out of this powerhouse!